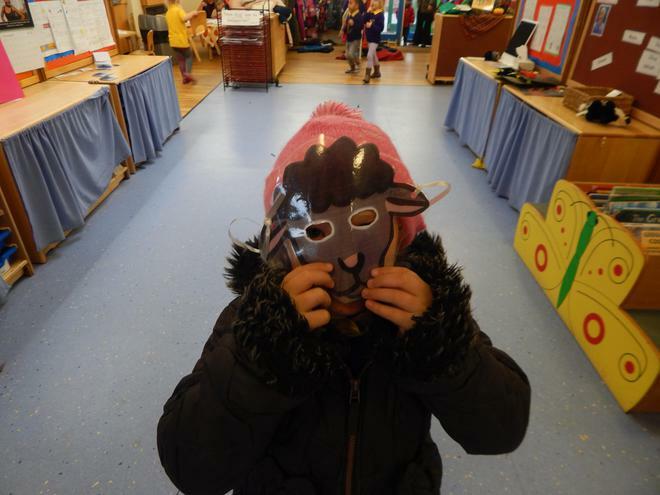 We have had a lovely week joining in with National Nursery Rhyme Week. 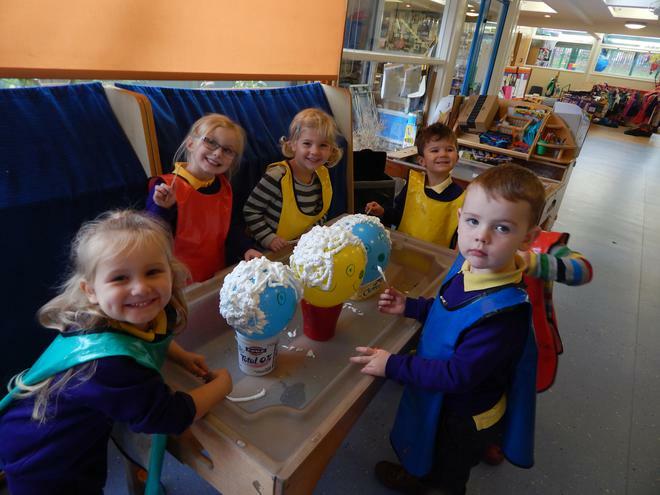 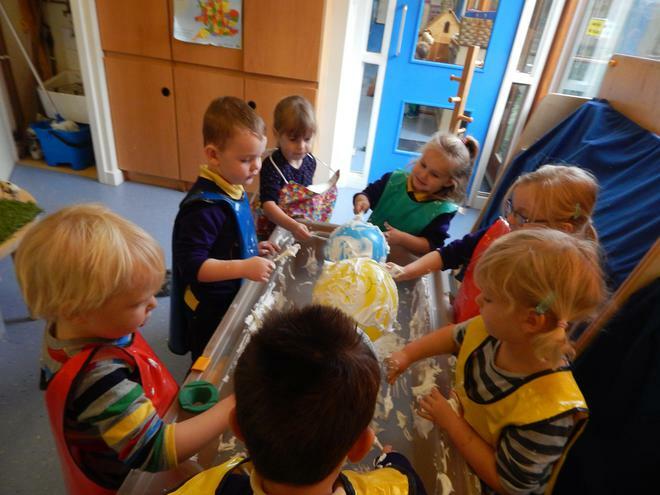 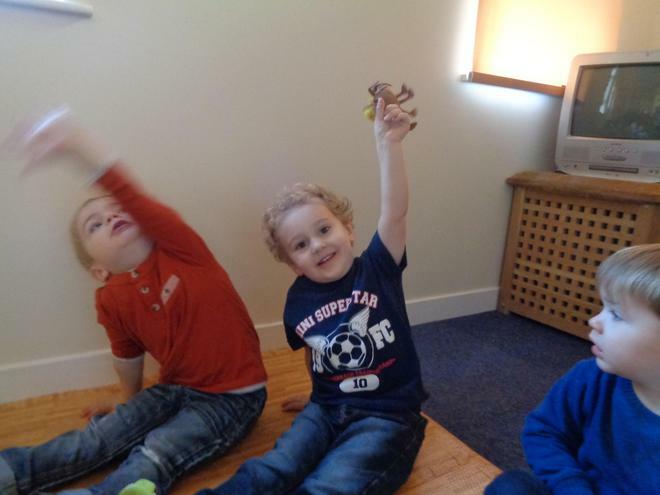 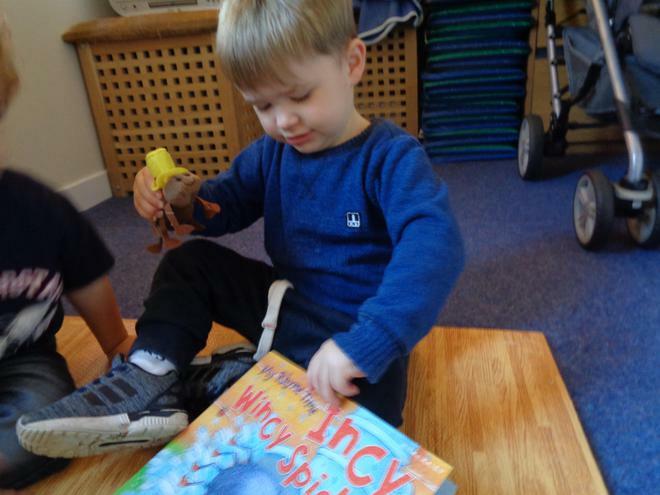 The children have learned a different rhyme each day and have taken part in lots of exciting activities linked to the rhymes. 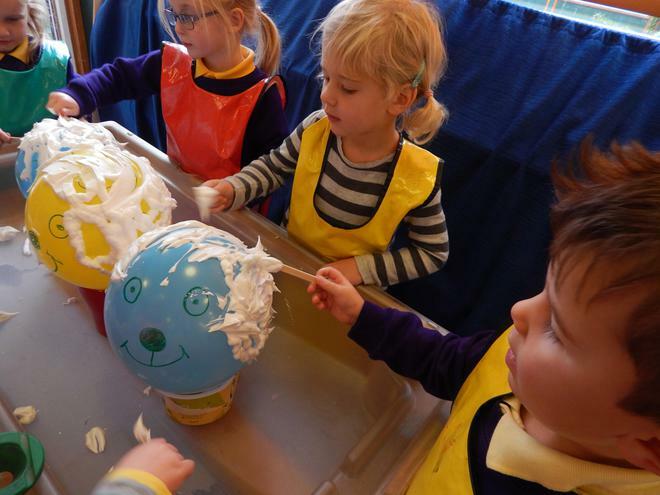 For example children in the over 3's watched a video of sheep shearing then sheared their own sheep (with balloon sheep and shaving foam!) 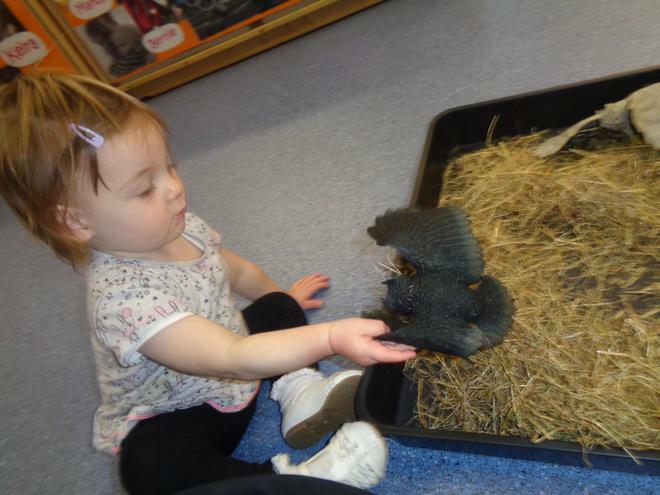 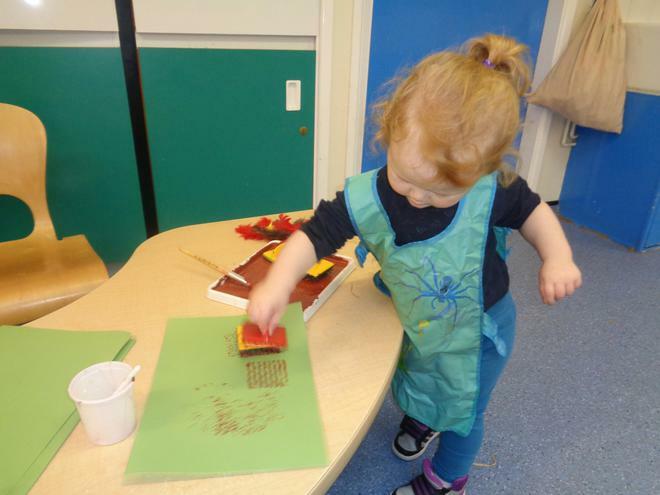 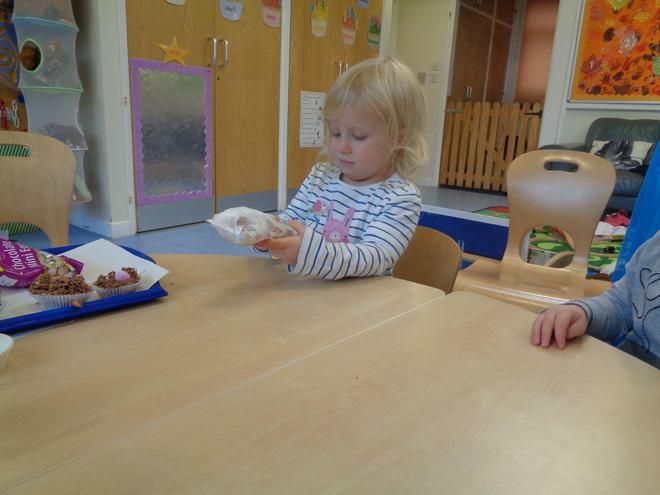 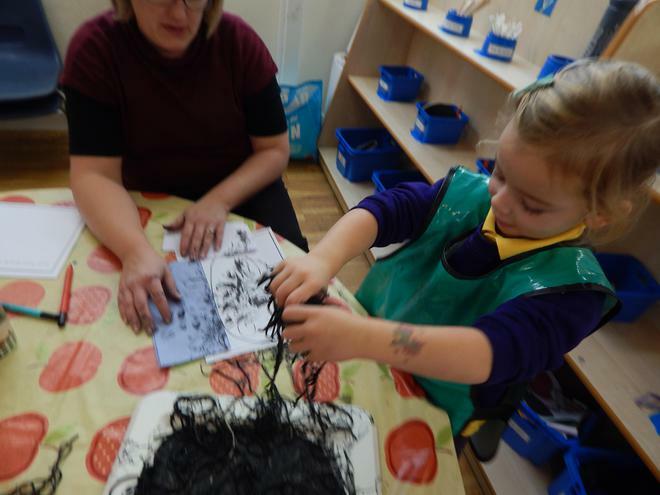 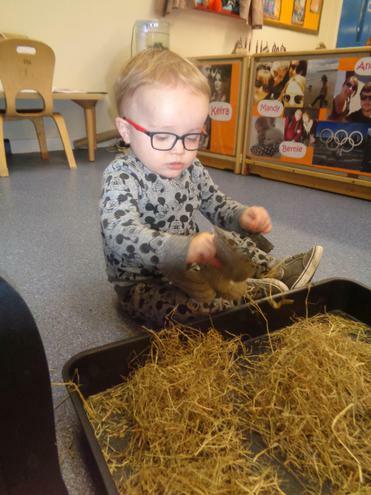 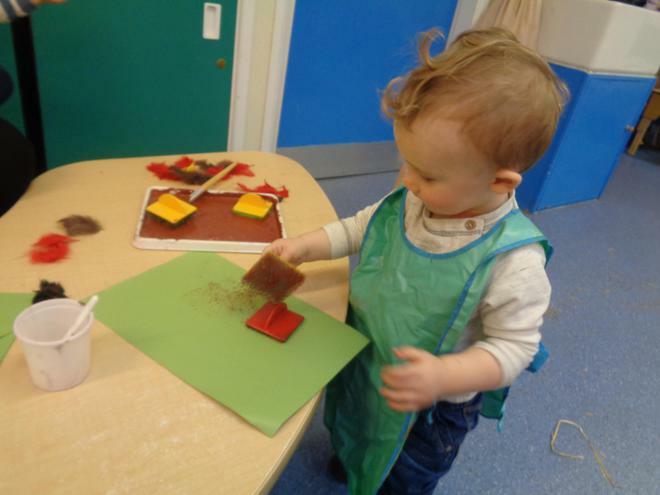 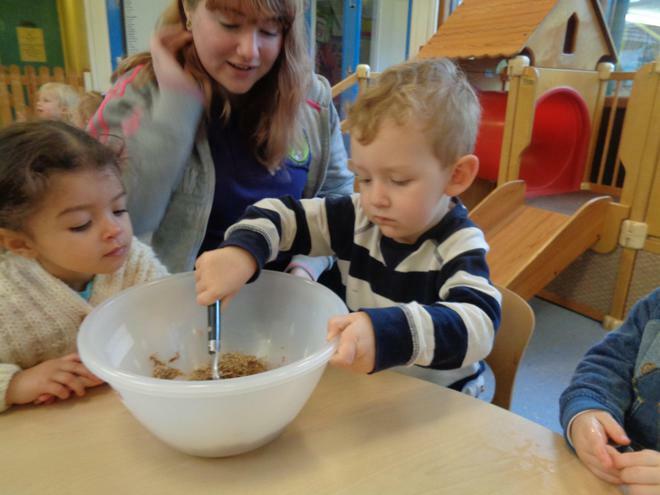 for Ba Ba Black Sheep, Toddlers made birds nest cakes for Peter and Paul and clay Incy Wincy spiders and Babies played with Peter and Paul in their nest and made print and feather collage.